Do you know what pisses me off about this? It took me quite sometime to compile information just dealing with PA.......DC puts together a site with info for the whole country in a couple of months! But I like it...no BS, just useful info. Spacemanvic;90337 Wrote: If it's for an association or an alliance, full disclosure of the principle parties is usually expected, especially if this organization would be representing the member body in any type of action. Individuals may not want to be associated with a "Mr. Smith" if Mr. Smith's activities outside of the alliance would paint that persons association in a bad light. So, not out of the question to ask about it, especially if you are representing yourself as an "Alliance". A name change may be in order. Honestly, I thought you were looking for a reason to not like it based on who was involved. Thus my reply to you. As I see it, and I could be wrong, AMGOA is a place for up to date information, a place to get the word out for upcoming important issues to the cause, it's not really a place that represents anyone. The name should reflect its nature, because the word "Alliance" is going to denote something bigger than a repository of information. Websites like thegunwire.com are firearms news wires, they cater to a different audience. AGOA seems more like a pro 2A legal resource. 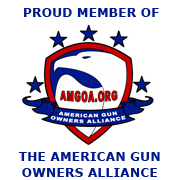 When I first head the name, TBH I thought it was a wanna-be NRA or GOA or SAF from East PA. Of course, actually caring about 2A I checked the site and found that it wasnt just another pro 2A group. But it's the word "Alliance" that threw me off. How much more so others who give it a cursory glance? Tootie;90338 Wrote: So, did DC Dalton's post answer your question? I applaud the website and the information its disseminating, its needed at this time. Should it become successful, people outside of the forums may want to know who the people are behind the group. And if and when that time comes we will be more than happy to supply that information. Right now we are less than a week old. P89;90347 Wrote: Do you know what pisses me off about this? LOL, trust me it wasn't easy, we worked 12 hour days to get this done so quickly. I (with some help from our friends) collected all the laws and coded them, DC did all the front and back end programming. ^THIS^ is what Im talking about. You guys arent an alliance, youre a different beast. The name should reflect the service you offer, you'll get more people! You guys are on to something, but you've got to market it differently. Spacemanvic;90349 Wrote: The name should reflect its nature, because the word "Alliance" is going to denote something bigger than a repository of information. The name fits perfectly for what we want it to be. An alliance of/for all groups, not just one. You may call it what you want it to be, but it's a directory. I used to work for LexisNexis (BIG directory services/legal publishing company), you guys look like a directory. LOL! This is what happens when I put my mind to something (or someone tells me I can't do something) and had I had the time to work on it full time (I do have clients to attend to) I probably could have had it done in a month. But I will tell you we busted out ASSES (especially Tootie) to get this thing together. A little secret I will let you in on. I am working with RocketFoot on a way for any gun related site to 'pull' all the laws for their state, or proposed laws for their state via a remote call to our server. Going to take some tweaking to get it to work but I will get it to work. soberbyker;90339 Wrote: Honestly, I thought you were looking for a reason to not like it based on who was involved. Thus my reply to you. Now, if down the road we do move towards a PAC style group (BIG IF) then that's where it will go. I think you guys will have a better go at it as a directory from which other groups can retrieve information. This could be big. dc dalton;90357 Wrote: LOL! This is what happens when I put my mind to something (or someone tells me I can't do something) and had I had the time to work on it full time (I do have clients to attend to) I probably could have had it done in a month. But I will tell you we busted out ASSES (especially Tootie) to get this thing together.